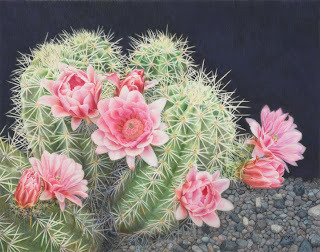 Colored Pencil Society of America sponsors two exhibits annually: an International Exhibition in connection to the annual convention and an online exhibit Explore This! Dorothy DePaolo and Susan Rubin were among the 53 colored pencil artists whose work was selected into the online exhibition. They are also the only ones from Colorado and both within the BI-community. Explore this!8 can be viewed online from February 1st to the end of 2012. 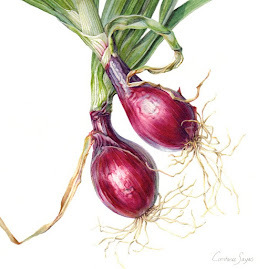 Botanical subjects are sometimes tricky to illustrate without a detailed knowledge of the many theories of perspective. 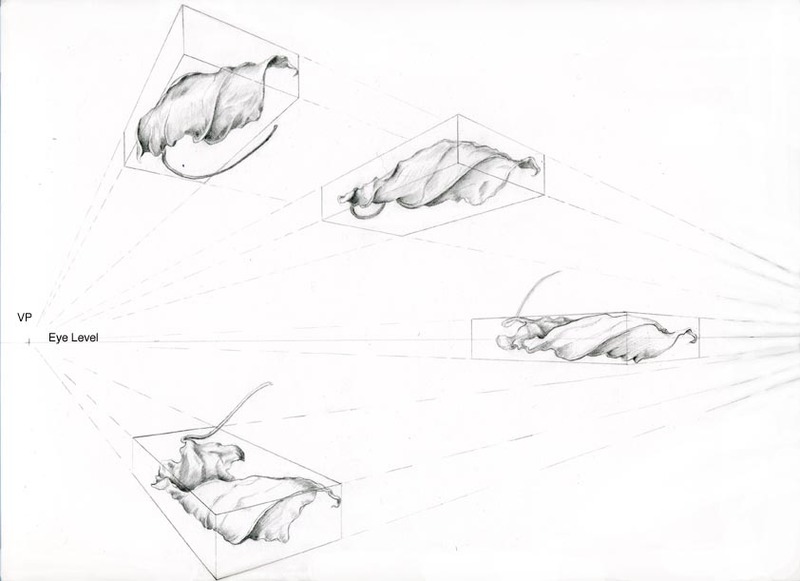 In our required curriculum we include a 15 hour course on linear and aerial perspective (Perfecting Perspective). 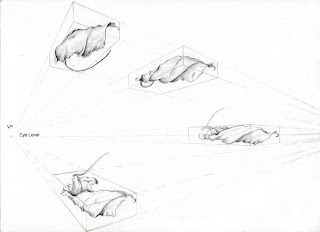 By request we are also offering an elective Perspective Special during which the students will challenge themselves in the 5 different types of perspective drawing. Please see more by clicking here. InternationalCode of Botanical Nomenclature (ICBN) was established in 1905 to govern the botanical nomenclature. 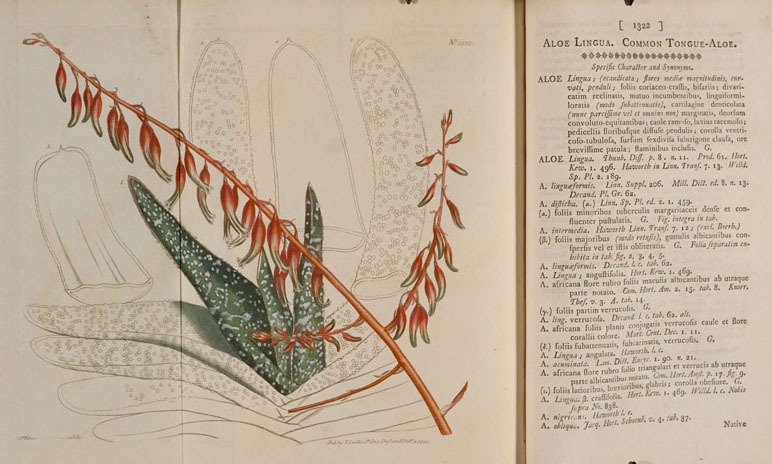 This entity is under the umbrella of International Association for Plant Taxonomy and meets every six years at the International Botanical Congress. 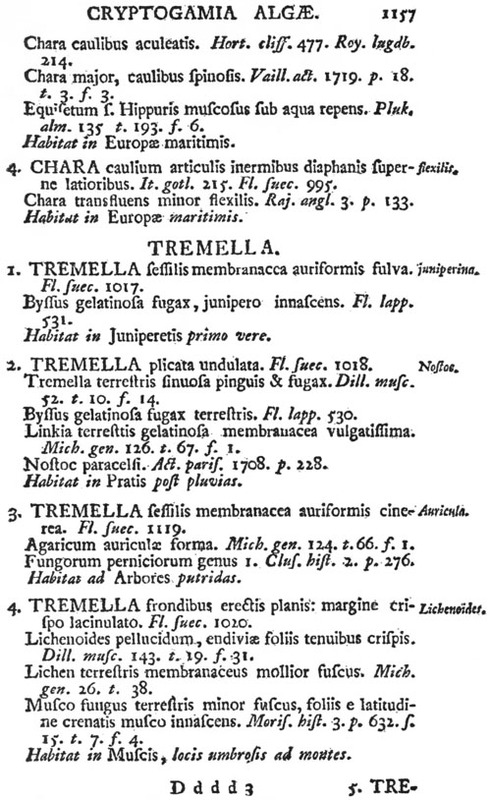 It oversees not only the taxonomy for plants but also that for fungi and algae. At its most recent meeting in Melbourne, Australia (XVIII IBC) several proposals to amend the code were discussed. - e-only publications will be valid from the beginning of 2012, the requirement to deposit a number of paper copies in libraries is no longer applicable either. 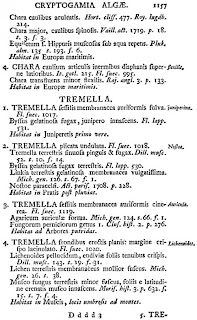 -as of January 1st 2012 new name/species is published the diagnosis can now be written either in English or Latin. 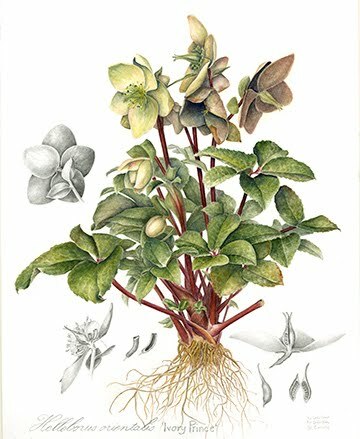 Both of these a quite revolutionary decisions within the plant sciences. 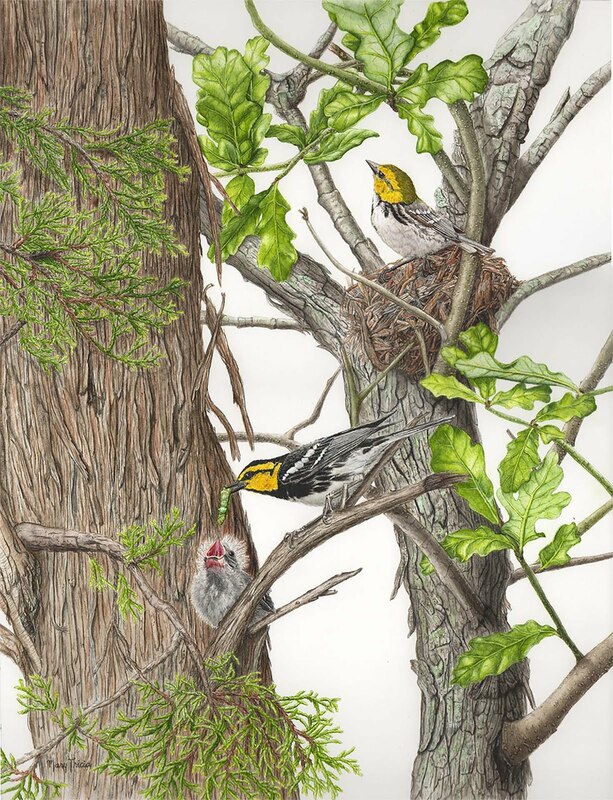 Jill Powers is an artist with a Master’s degree in fibers from Tyler School of Art. 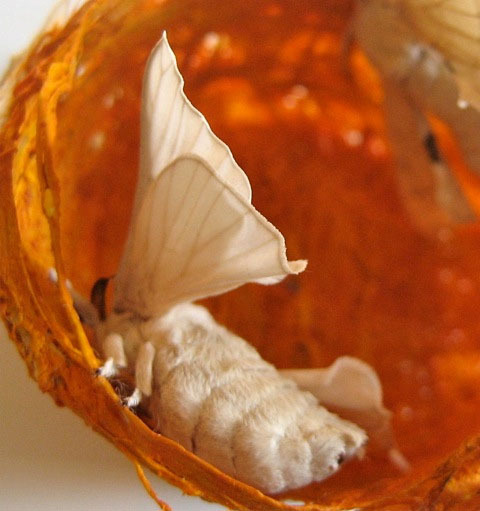 She is on the visual arts faculty at Naropa University, and teaches her own workshops and retreats specializing in unusual natural materials. Her work has been shown nationally and internationally and has been featured in “500 Baskets,” “The Fiberarts Design Book,” The Crafts Report, American Style Magazine, and the New York Times. 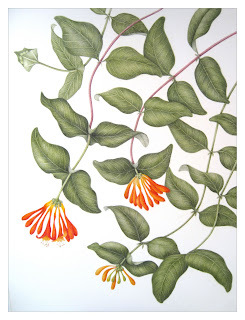 Her work won Best of Show in the Millennium Show at the American Museum of Papermaking in Atlanta. 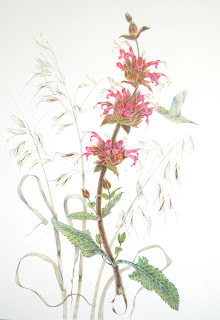 Estelle DeRidder received an honorable mention for her Salvia spathacea at the California Native Plant Society's Botanical Illustration contest. 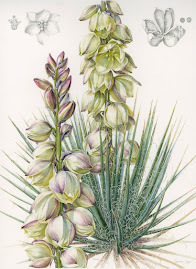 This contest was arranged in connection to the Juried Botanical illustration show at the CNPS Conservation Conference in San Diego, CA. 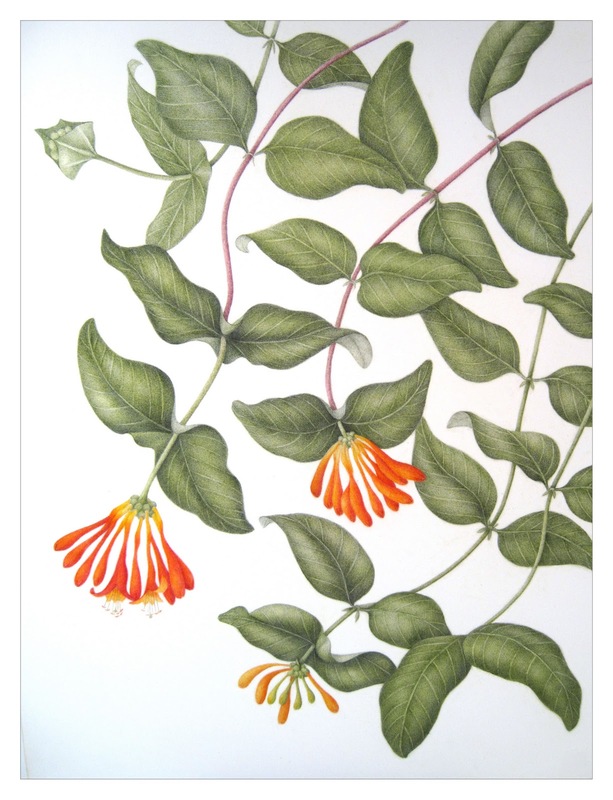 Estelle had also a second piece juried into the show, pictured here below: Isomeria arborea. Estelle DeRidder graduated from our Botanical illustration program in 2010 and resides now in southern California. 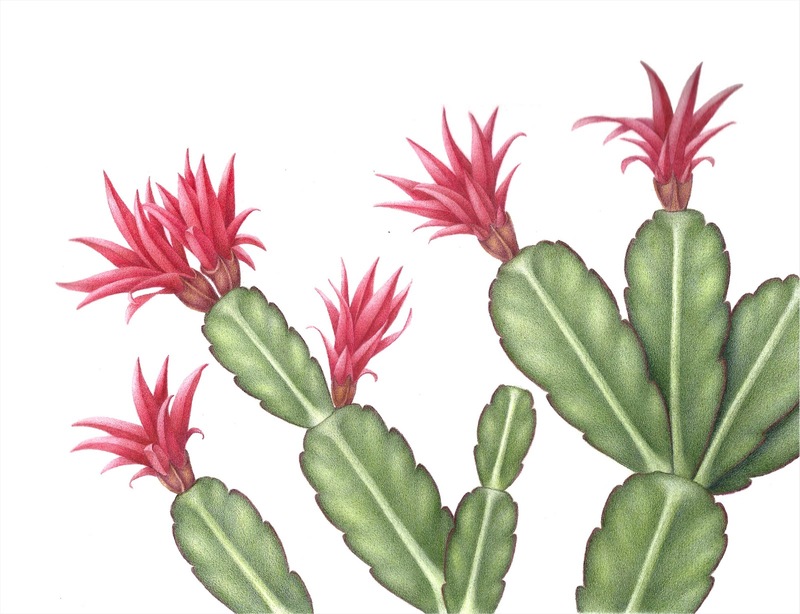 Kathleen Dolan is one of the featured artists with her colored pencil work: Summer cactus (below). 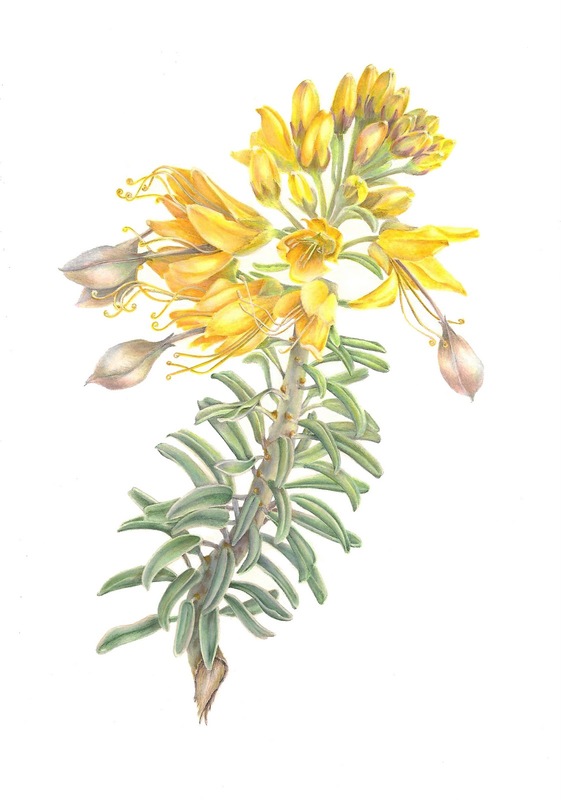 Kathleen's colored pencil illustration of the California native Lonicera ciliosa (above) was accepted to the California native Plant Society's juried show which is in conjunction with the California Native Plant Society's 2012 Conservation Conference in San Diego, January 12 - 14, 2012. 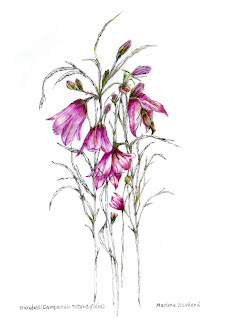 Kathleen received Botanical illustration Certificate in 2011 and is active part of our BI-community. With heartfelt regret I announce that Marlene Haviland passed away on Friday, January 6th. Marlene added greatly to our Botanical Illustration community and was a dear friend to many of us. 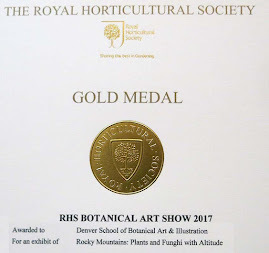 She received the Botanical Art and Illustration Certificate in 2008 and has actively participated in our program since 2003. Funeral services will be held at Englewood Bible Church, 3190 S Grant St.,Englewood CO 80113 Tuesday, January 10th at 10 a.m. followed by internment at Fort Logan Cemetery. Please click here for the obituary. Please keep the entire Haviland family in your thoughts and prayers. 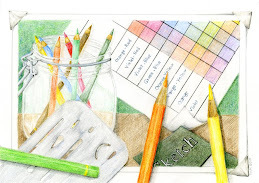 BI-CLASSES FOR 2012 START NEXT WEEK!!! 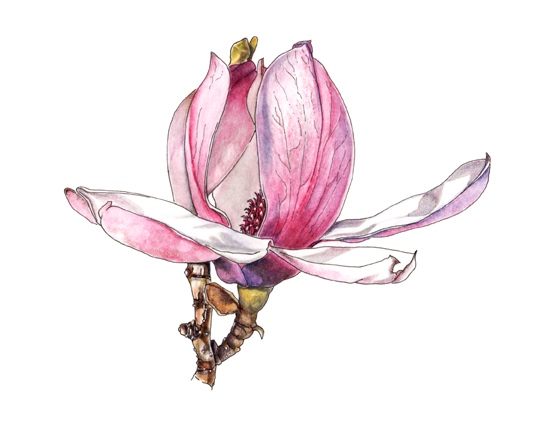 Our Botanical Illustration teaching is resuming next week and the 2012 program is opened by a great line-up of classes. 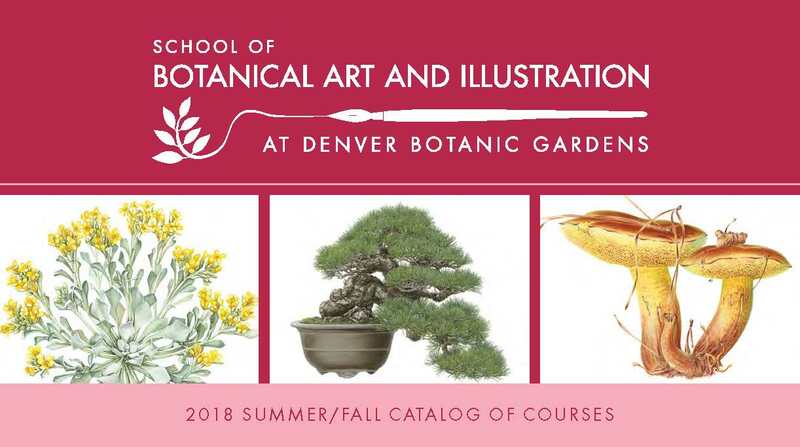 There are still seats available in Light on Form, Elegant Hand Lettering (calligraphy I) and Radiance in Realism which are starting on Monday, January 9th. 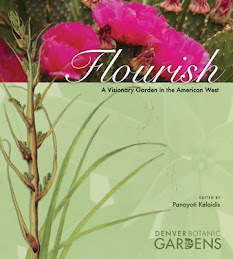 For more information and to register, please click here, or call 720-865-3580. 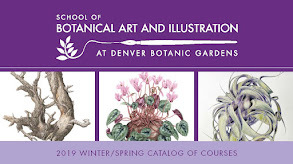 For our course program please click course program icon on the right hand column, or go to the Denver Botanic Gardens' Website. 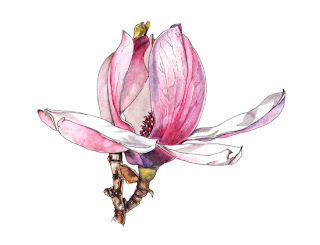 I will specifically encourage you to consider our Composition for Botanical Illustration, which typically sells out quickly, but have at the moment some seats available. 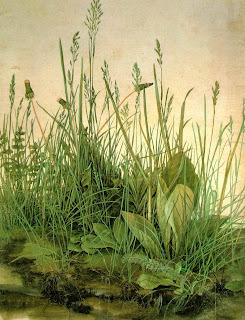 Albrecht Dürer's watercolor, The Large Turf, is a masterpiece of realism and he portrays individual members of the different species with each blade and stem and leaf and flower given a differentiated identity. 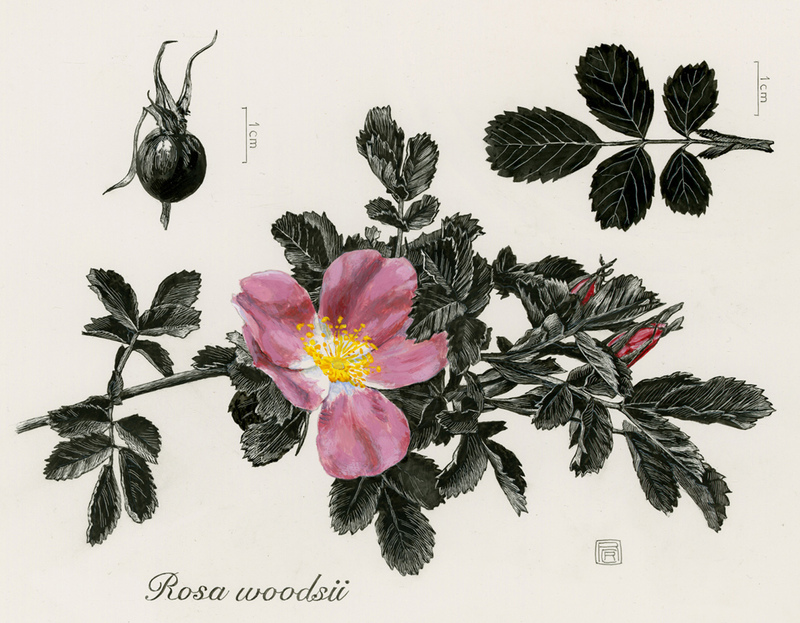 Das Grosse Rasendtück doesn't visually isolate or distinguish its various plants, it presents them in a state of natural disarray, confused, interleaved, entangled. 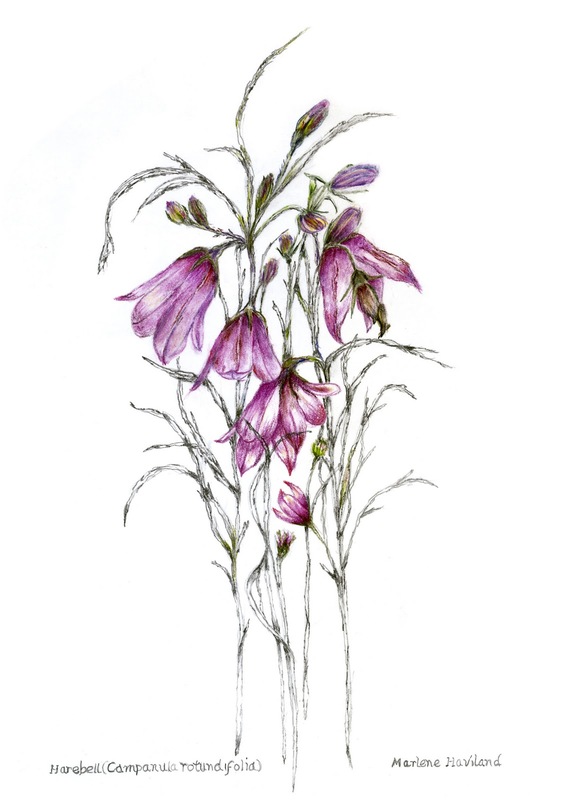 Dürer introduced a new subject for the artists: Even the simplest detail in the nature is worth painting and documenting, nature should be studied for its own shake. 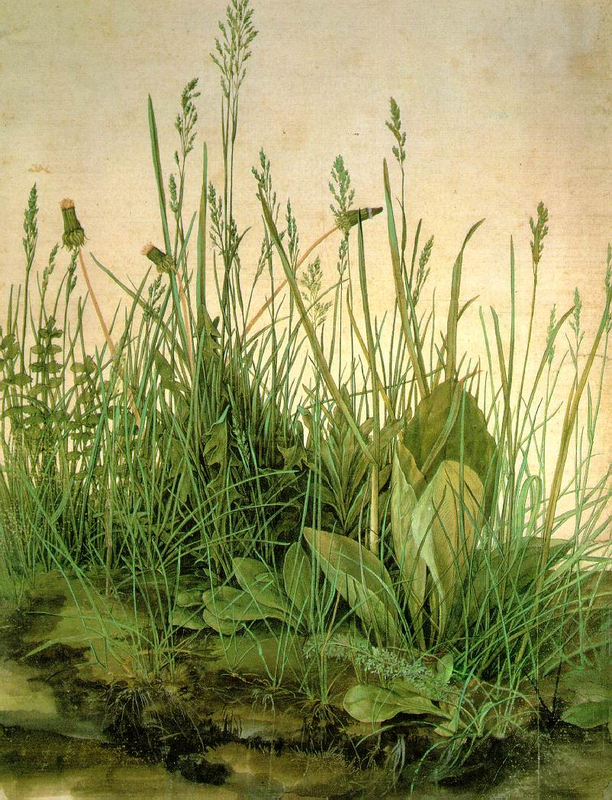 Albrecht Dürer (1471-1528) is northern Europe's answer to the Renaissance man. In the range of his intellectual interests and pictorial accomplishments, this artist from Nuremberg has been set beside Leonardo da Vinci. He delighted in mystical symbolism, and as well as painting, he was, above all, a printmaker, engraver, writer and respected geometrician. Dürer’s shell curve was presented in his work Instruction in measurement with compasses and straight edge (1525). 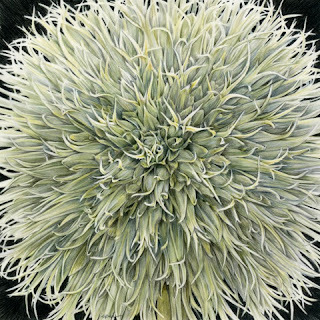 The Economists recently featured Albrect Dürer in an article about the business model that Dürer invented in the 15th-16th century (Economist, December 17, 2011). Dürer was mostly active in Nürnberg, Germany. 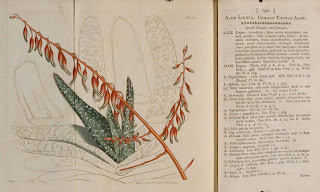 The Arts and Archives 2012 Europe tour will visit Albrech Dürer House and also Germanisches Nationalmuseum where the majority of Dürer's originals are kept. 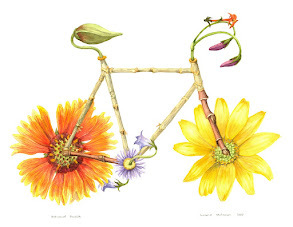 More information about the tour, please click here. 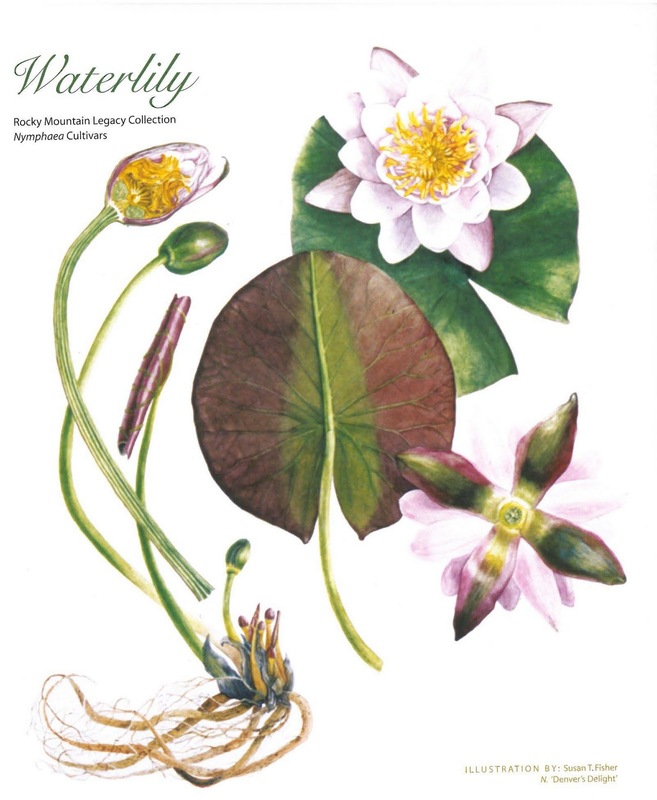 Both these cultivars belong to the waterlilies (Nymphaea) connected to the Berkeley Lake in Denver. 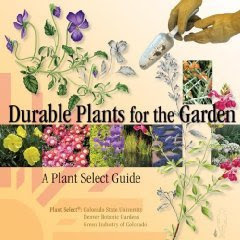 Few days ago Denver Post published an article about a construction project that might affect their future.